Growth is rarely linear, whether in business or personal professional development; that’s not to say, though, that that growth cannot be highly focused. Few participants in the additive manufacturing industry set off on a path to knowingly dive into a career in 3D printing — I know I didn’t — and for many, an unexpected entry into a young industry can mark the start of a long-term journey. One of those whose entry into the additive world proved both a surprise and a career path is Shayne Denston. 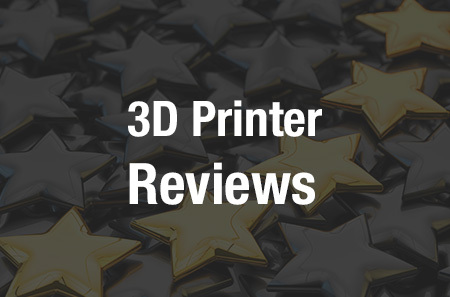 Denston, who answered a want ad and started to answer phones for a major industry player nearly 20 years ago, has embraced 3D printing so thoroughly that she helped to start a wholly new business dedicated to providing excellence in customer experience. In a 16-year career with Stratasys, Denston ultimately learned about not only all areas of that company, but about the participants in the broader 3D printing industry. Personal interactions with customers and other companies at trade shows and industry events brought out her natural abilities in sales and in building relationships. An important part of any relationship is trust and support, and it was wanting to focus on these aspects more deeply that led Denston and her husband, Brent, to create Superior 3D Solutions, in spring of 2016. She now operates as the president of the California-based business, which is a dedicated reseller of Markforged products. Earlier this year, the partnership between the two companies deepened further as Superior 3D Solutions added the Metal X 3D printer to its offerings. As we continue to focus on the individuals behind the industry — particularly important lately as more attention is placed on the lacking talent pool and more individuals begin to wonder how to fill job vacancies, or how to enter the industry — I recently had the opportunity to hear directly from Denston about her journey in 3D printing and the shifts she has witnessed in the industry since the late ’90s, as well as the potential for a more diverse makeup of the workforce and the importance of building relationships. Can you fill us in on your educational/professional background and how you came to work with Stratasys and learn about 3D printing? How did you grow in experience and responsibility with Stratasys, driving to — and beyond — a $16M quota? “I started off as an Office Administrator at one of their satellite offices in Ontario, California. There were only five of us there at that time. After two years, I became pregnant with my first son – and I tried to quit, thinking being a stay at home Mom was the ‘thing’ for me. Luckily, my boss wanted me to stay and offered a ‘job share’ position; which ended up working perfectly. After a couple years, I returned to full time, and realized that being a ‘working Mom’ was the right choice for me. A new position was opening to sell Maintenance Service Contracts to all our customers. I thought this would be an exciting opportunity and I was chosen for the role. I had no experience in selling, but I knew a lot of our customers, from being the first point of contact when they would call in (this was before automated answering). It was a fantastic opportunity, I was happy to be back full time, and I loved my job and the people I worked with. Not knowing the financial potential for my new role, the first year was a guess for revenue, quota and results. By the second year, the bar was set and even though expectations were aggressive, the opportunity for me was huge. It was new revenue we weren’t bringing in before, and it also provided our customers a great customer service experience – having a single person, a go-to person that could help, assist, answer questions and provide support. What experiences did working at trade shows and events provide that helped you to grow in and understand the 3D printing industry? “When I was asked to start working trade shows, I saw that as a huge honor and compliment. At that time, the sales team was responsible for working trade show booths. Coming from Inside Sales, to being at a trade show was huge. Many of our customers were at these shows, and to finally meet them, and put a face with a name was great. I could walk the show, see and learn about our competitors, ask questions about their printers, see how they sold in the booth and what their messaging was. I could tell you all about the Stratasys products, but learning about the competition, their message and pitch was eye opening. Then of course meeting and speaking with potential customers, hearing what they were doing, and engaging with all the amazing entrepreneurs and smart people in the world, (some with the craziest ideas) helped me see beyond my immediate experience and think outside the box. How have you seen the 3D printing industry grow over the years you’ve been involved? What led you to establish Superior 3D Solutions? “A couple years ago, we had our ‘ah-ha’ moment. We were on the corporate side for many years and being a reseller was something we knew we could do quite well. We knew we could bring something unique to the table. We had a perspective that was, exciting, fresh and innovative. As many entrepreneurs have done, we took that leap of faith, we invested, we lived off savings, and relied on us and only us. The 3D printing industry is what I know, enjoyed, and was good at. My husband, Brent Denston, was also extremely successful in the 3D printing industry. With 17 years’ experience, he is one of the most knowledgeable people in this industry. He has a great reputation, is amazing with people, and has a real passion for 3D printing. He truly believes in it and the Markforged Product. We talked about each other’s strength and weaknesses. (That was a fun date night LOL). His best qualities, countered and balanced my best qualities. His success and ability to sell with my high standards for providing world-class customer service, customer experience and support made for a great launch for Superior 3D Solutions. A product that we believe in, that also works consistently and reliably! What sets Superior 3D Solutions apart from big corporate type businesses? Superior 3D Solutions works closely with Markforged; what can you tell us about this relationship? “Superior 3D Solutions has had an amazing experience with Markforged. 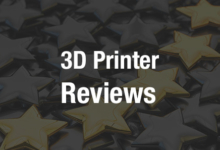 When we started Superior 3D Solutions, we tested close to 20 printers at our facility. We went to the Rapid Show and CES. We walked the show floor looking for a printer line and vendor that met all our requirements. We knew exactly what we wanted in a printer/vendor and exactly what we didn’t want. Markforged had a great reputation, they were unique (carbon fiber), they were innovative, young and really took a fresh approach. ALL the people we spoke to, from Markforged, were happy and excited and came from a place of ‘yes we can’! We signed our contract with Markforged June 28, 2016 – and it has been the best business decision for us. We are the only Exclusive Markforged reseller in California – we have a very enthusiastic customer base and we focus on Markforged 100% all day, every day. As importantly, Markforged has grown with us as well. They released the Onyx 3D Printer Series, the Mark X, with industry leading quality and features and now Metal X, which is a totally new way to produce metal parts. Do you feel that your experience as a woman in this industry has been at all substantively different from those of men in similar positions? “For me, I found that many people in this industry thought it was refreshing talking to a woman. This is a male dominated industry, and, when I would meet and talk to customers they were always happy to talk to me, and take my calls. I had met many of them and established a relationship with our customers. At trade shows, I was happy to speak to anyone and everyone and I think people appreciated that. What have you observed regarding diversity in tech? How do you see this influencing the 3D printing industry? “I think the immediate opportunity and bright spot in this area is in the educational sector. 3D printing is huge in education. Almost every child, regardless of their ethnicity, or socioeconomic background can be exposed to 3D printing today. We have machines in many high schools and colleges where all the students work side by side in a collaborative environment. Teaching these kids about engineering, design, manufacturing and 3D printing and making it part of their curriculum is very important. Do you have any advice for girls/women interested in pursuing education/careers working in 3D printing? “My advice would be to love the idea, potential, future, innovation, and all that encompasses 3D printing today. I am not a ‘techy’ person, but I get it, I like it, I’m still amazed by 3D printing. They don’t have to be an engineer, they don’t have to be techy, they just need to like it enough to learn, listen, attend as many events as they can, walk the shows, ask questions and take advantage of any opportunities they can. From applying for a new job in a new field to an ‘aha!’ moment that led to a new business opportunity, Denston’s journey in 3D printing has been one built on focus, drive, determination, and a deep understanding of the importance of relationships. As we continue to see growth in the additive manufacturing industry, these factors will drive business leaders forward from strength to strength. Share your thoughts in the Shayne Denston forum at 3DPB.com.